Universal’s monsters development takes a dark turn and gain two new members. Universal is attempting to recreate the classic shared universe of monsters that shaped cinema during the time when film began to explore the monster genre. From Frankenstein to Count Dracula, the classic monster films were done so well the audience grew afraid making you believe if they exist the world would live in terror. 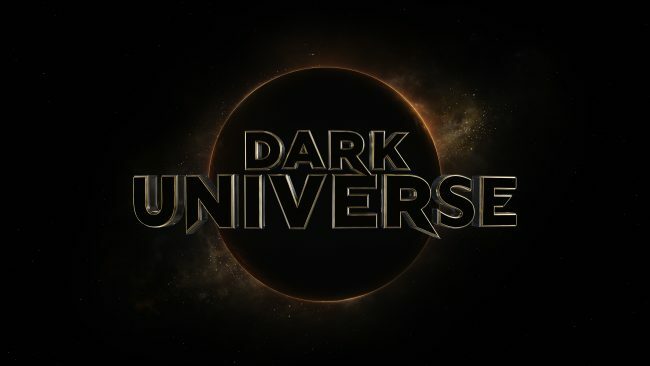 Today, Universal Pictures has announced that their new shared monster universe has a been titled “Dark Universe”. The motion logo for the new initiative features a musical theme that will debut in theaters preceding The Mummy which will be released on June 9th. In the video it mentions that Alex Kurtzman, core creatives, and will serve as director and producer of the inaugural film in the new classic monster series, The Mummy. Chris Morgan will also serve as producer who wrote for the sixth film of the Fast and Furious franchise, which claimed the biggest opening in history at the global box office during its April 14th opening. Along with them comes Oscar winner Christopher McQuarrie (Mission Impossible series, The Usual Suspects) and David Koepp (War of the Worlds, Jurassic Park) to entertain the new generation with the monsters of the Dark Universe. “We take enormous pride in the creativity and passion that has inspired the re-imagining of Universal’s iconic monsters and promise audiences we will expand this series strategically. The enterprise masterfully developed by Chris and Alex will allow each subsequent chapter that right time to find the perfect cast, filmmakers and vision to fulfill it. As we launch Dark Universe with Danny’s provocative theme before The Mummy and collaborate with a brilliant filmmaker like Bill to weave the story of a very modern woman in a very classic tale, we feel confident we’re off to a tremendous start”. With this newly developed monster universe “Dark Universe” taking shape, the studio would confirm that Bride of Frankenstein will be directed by Bill Condon. The Oscar winner Bill Condon would come off his worldwide mega film Beauty and the Beast, one of this year’s biggest hits crossing $1 billion at the global box office and became the most successful musical of all time. Joining Condon in the Bride of Frankenstein is Koepp and will be released on February 14th, 2019. The actress who will portray the bride in this classic will soon be announced. The last bit of news of this already divulging development is the studio confirming that Johnny Depp and Javier Bardem will be joining the “Dark Universe”. They will be appearing together in Pirates of the Caribbean: Dead Men Tell No Tales. Depp and Bardem will portray The Invisible Man and Frankenstein’s monster. They will be joining Tom Cruise as soldier of fortune Nick Morton and Oscar Russel Crowe as Dr. Henry Jekyll, who will be appearing in the all-star cast of The Mummy with Sofia Boutella as The Mummy. You may ask yourself how will the “Dark Universe” be a shared universe it’s the principle that lies within the films itself. The Dark Universe films are connected by a mysterious organization known as Prodigium. This shadowy organization is led by the brilliantly mysterious Dr. Henry Jekyll. The main mission of this organization is to track, study and destroy evil embodied in the form of monsters in the world (when necessary of course). Prodigium will go through incredible lengths to protect the public from knowledge of the evil that exists in the civil world by working outside the confines of the government. The Dark Universe has finally come to light for the world to see. You can also visit a viral site for the organization connected to the Dark Universe.